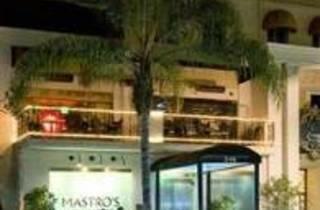 First thing's first: Mastro's is techinically not an LA original. Originated in Scottsdale, AZ, there are locations in four states, but don't hold that against it. The Beverly Hills location has been packing big spenders for over a decade in its charming, supper club space that feels more '60s Vegas than 21st century Los Angeles. Excess is the name of the game here and Mastro's wears it well. Servers wear white dinner jackets as they bring mountainous seafood platters, mammoth steaks and huge slices of cake. The bi-level restaurant recently added a less formal Penthouse with an al fresco patio that caters more to the younger clubbing crowd. But no matter which level you end up on, you're going to get a beautiful steak, and that's never a bad thing. Great cocktails (they make a mean key lime martini), awesome steaks, and the best warm butter cake with hands-down the quintessential homemade whipped cream. It's loud upstairs, so if you want to be able to actually have a conversation, ask to sit downstairs. One of the best Steakhouses in town! 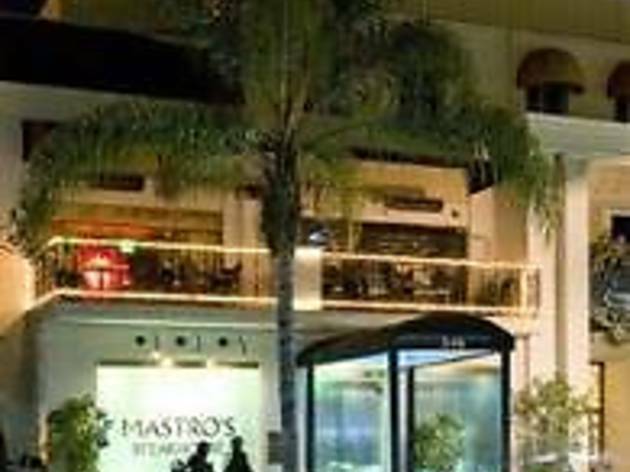 Mastro's is on the upper echelon of Beverly Hills institutions.